Happy 1 Month, GQ trippin! Happy birthday to me! The last 30 days has been a trip. Here’s what’s happened the last 30 days since we’ve launched — the things we’ve learned, people we’ve met and those we’ve connected with. Quickly learning the world of twitter is a beast (in a good way). We’re still rookies in the twitter world of travel blogging. The site now has 186 Facebook fans and 116 Twitter followers! 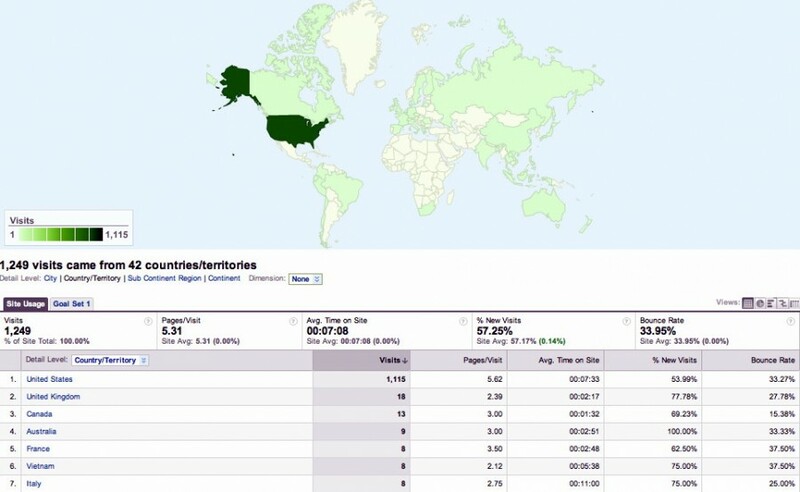 Thanks to Google Analytics, we can see you from across the globe. The stats are curazyyyy! We have the most hits from California, Texas and New York — Holler! We’ve got visitors from the UK, Canada and Australia. Not to mention Vietnam, Serbia, Ireland as well as South Africa, Ecuador and Singapore — Greetings! Thank you ALL! Next time you’re here, leave us a message. We’d love to hear from you. You can call this the extended edition to Our Favorite Bloggers in 2011. New discoveries and blogs we’ve recently stumbled upon, ones we can’t get enough of because they too are just that fabulous! 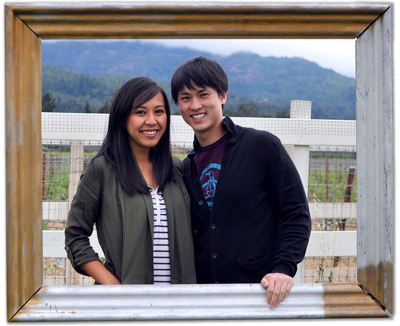 Idelish – Meet Jeremy & Shirlene: We love travel. We love photography. We love sharing our experience. We are two tech geeks with a passion for travel, photography and food. Join us on our adventure! Y Travel Blog – Meet Caz & Craig: Experts on World Travel, Working Holidays, and Family Travel – Travelling & living abroad since 1997. Sports fanatics, beach lovers, beer drinkers, your friend! 2Backpackers – Meet Jason & Aracely: Sharing travel experiences through Travel Videos, Photos, Travel Tips and Stories. Detailed travel tips at CoupleTravelTips.com. Passionate Philly sports fans! I was Vegas for Labor Day! Guess who else were in Vegas the same weekend? Kieron and Amy from Don’t Ever Look Back! 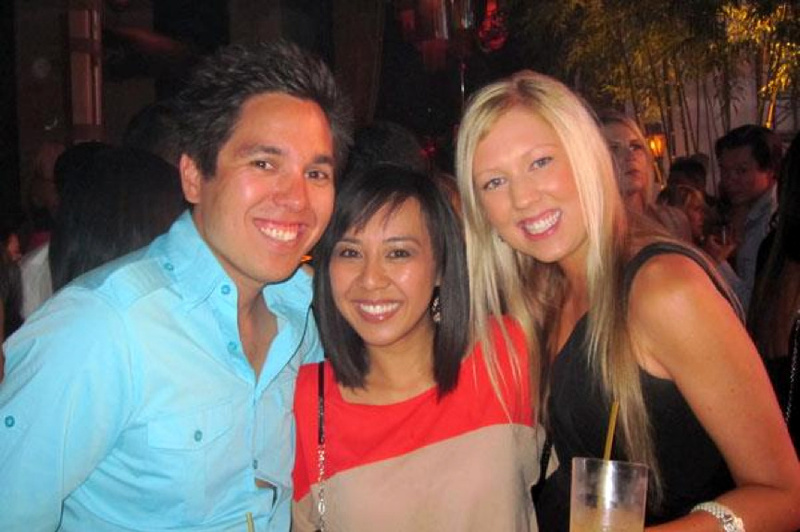 I invited Kieron and Amy for a night out clubbin’ with a few friends. Let’s just say, “What happens in Vegas.. doesn’t go on the blog.” Until we meet again. Safe trippin’ throughout the States you two! Kieron and Amy are currently making their way across the US. Follow them @amzkiz. checking off #30! in… oakland?! Never thought I’d get to say this, anytime soon at least, but we just checked off #30 on our 30 before 30 — our bucket list of 30 experiences to have before we turn 30. And in Oakland of all places. We got invited to attended Travel Massive in Oakland this past week. Didn’t know what to make of it at first since it’s our first travel meet and greet but all that nervousness quickly disappeared the moment we met everyone. We talked, we drank. Introduced and shared stories of our past travels. How often do you get to say I met an Irish vegetarian who does not drink?! Follow Benny @irishpolyglot. His next mission? To learn Klingon in time for the Star Trek convention! We have BIG plans. One we can’t reveal just yet. But we will soon and can’t wait! In the mean time, there is still lots we haven’t shared. Stay with us as we continue to revisit past travels, memorable moments and unforgettable indulgences from the last 7 years. We’re happy to share our lives with you. Even more, excited to have you as readers. Whether you ‘Like’ us on Facebook, retweeted a link or commented on a post, we want you to know, we appreciate it. Thank you. It has been a blast and this.. this is just the beginning. Thanks for trippin’ by. Capture the Colour - In Food! Happy one month! I’ve enjoyed reading about your adventures for the past month and look forward to keeping track of your journey in the future! Happy one month! Am so glad we’ve learnt about your blog. Love reading your posts and will continue to do so! Now, onto your 1 year milestone! Thank you so much for the shoutout in your post 🙂 We are super happy that you love our blog! Of course! Next time we’re in Seattle, we’ll have to meet up! “What happens in Vegas.. doesn’t go on the blog” – hahaha, love it! Sweet log. Looking forward to hearing more, drop in on theprofesstionalhobo.com and nomadicmatt.com for two other blogs similar to travel and places. They will help spread the word too. Thanks Aaron! We’re following them now. I don’t think Nomadic Matt has connected back with us yet. We’ll keep on trying! Thanks for the inclusion – was very random indeed that you had emailed me and included me on the bucket list, and then I randomly went to the meet up (heard about it two hours before it happened – I was actually about to collapse into bed after 9 days in the desert!). 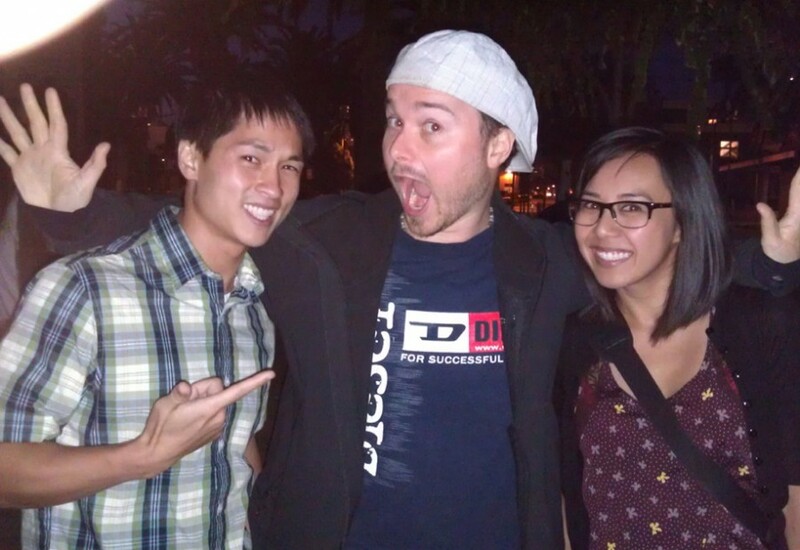 Was lovely to meet you two – thanks again for the ride! Hello guys, you rock! We are setting up our travel blog too, can’t wait to share our experience with you! !